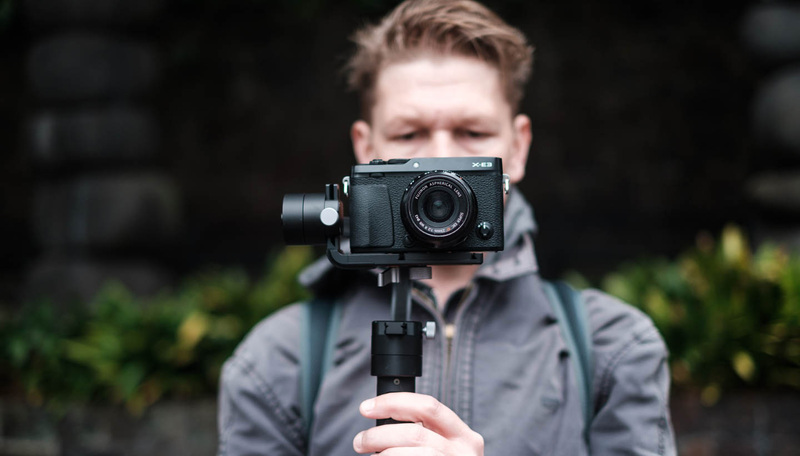 That is how I look like, on the streets of Auckland, when I have forgotten my reading glasses AND I am using a Fujifilm X-E3 mounted on a the Zhiyun Crane M for the first time! No problem, I am armed with overconfidence and a screwdriver, I am totally sorted! (a favourite Doctor Who quote).